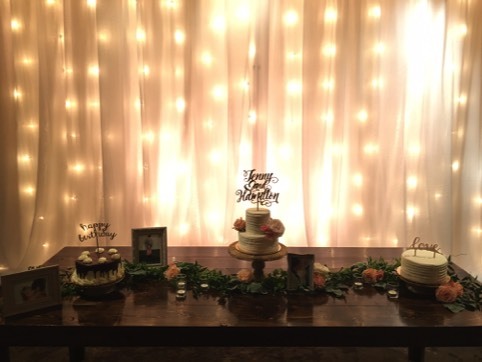 Are you looking for a beautiful, delicate backdrop? 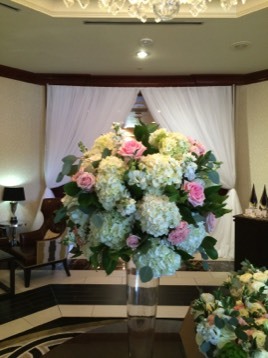 Maybe you want to cover up a space at your venue or create a grand entrance into your wedding. We've got the perfect thing for you! Uptown Sound now offers up to 30 feet of very versatile white draping. 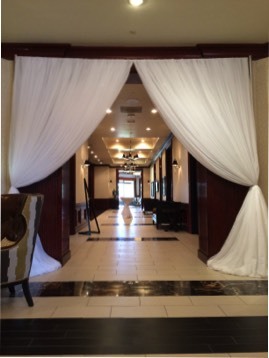 With the type of drapes we use, we can create different looks at different heights for all occasions. Contact us for more information and pricing.